Making a bee-line for a crab apple flower. (The purple/maroon flowers that are out of focus in the background). I grew 3 varieties of kale last year, red Russian, curly-leaved Westland Winter and Cavolo Nero Italian kale, The Italian flowered first even though they were all planted at the same time. 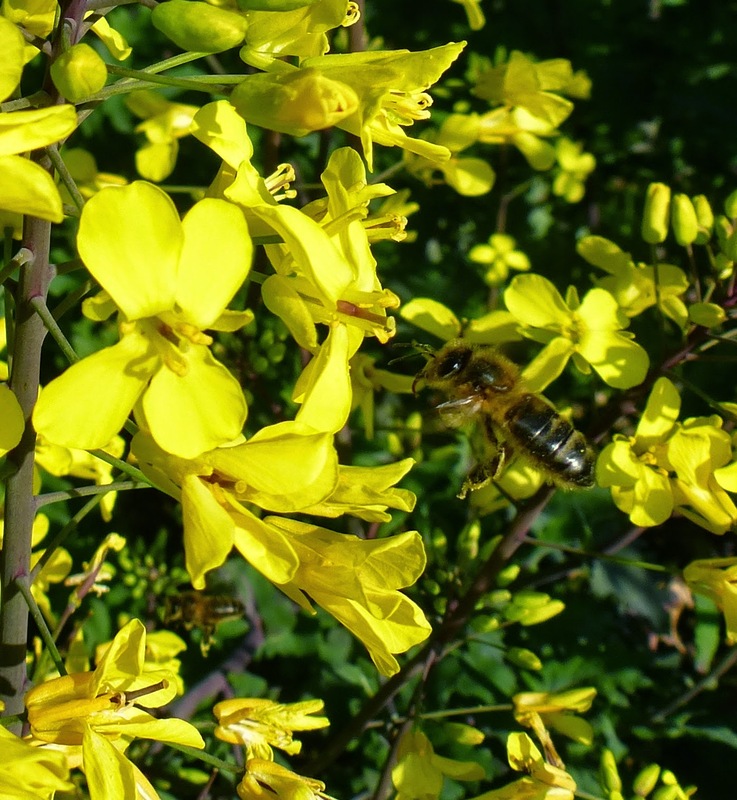 The flowers are 3 different shades of yellow, the Russian kale is the deepest shade of yellow and the honey bees seem to like it the most. There are more bumble bees on the other varieties. Some of the plants are over 6 foot tall! so a photo of the flowers just for the record. 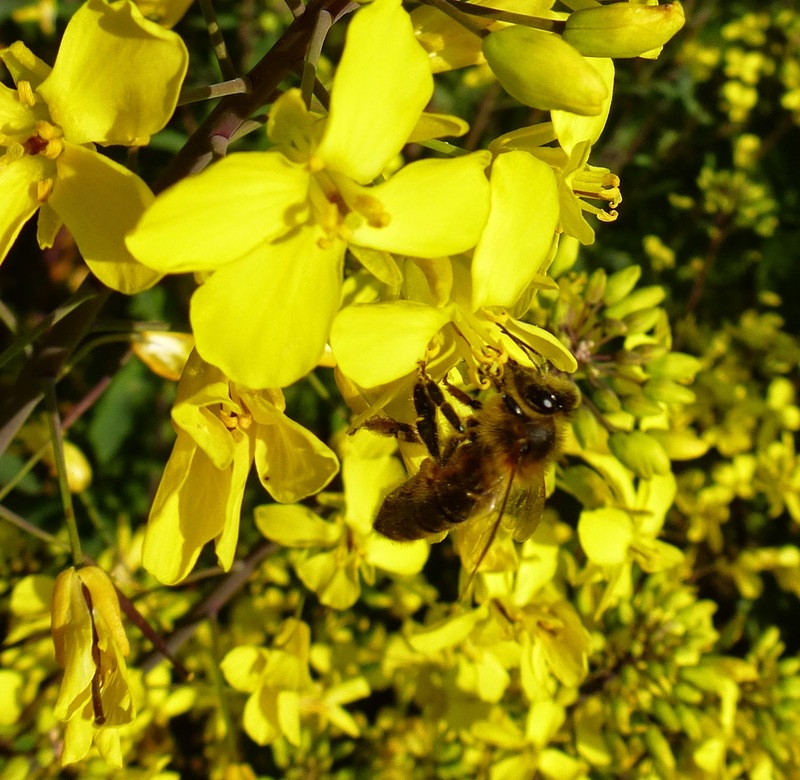 Growing kale all winter is a fantastic idea because you not only provide nourishment for yourselves but also early food for the bees. This year I let the turnip greens go to seed. They began to flower in mid January!! A good 3 months before kale. I don't know if that was a fluke or what, but I'll try it again this year. The turnips are in flower now, but I grew an overwintering variety that would be slow to bolt, It would be an advantage that I hadn't thought of to grow an earlier variety. 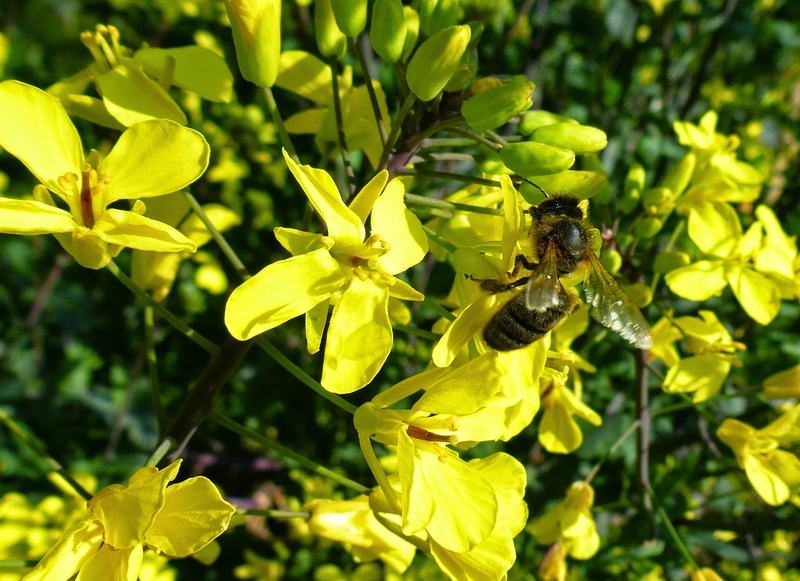 Yes, Kale is one of my favourite crops, It grows all winter here so the harvest goes on for months and months, and the vegetable garden is a sea of yellow and blue flowers at the moment, the bees are happy!